Create the Reclaimed Wood Flooring Style of Your Dreams. 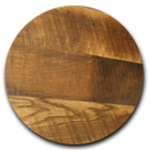 Reclaimed wood flooring presents an opportunity to bring beautiful uniqueness to any new home build or remodel. Rather than filling your house with bland and boring flooring that you’ve seen a hundred times before, we invite you to transform this aspect of your space into a veritable treasure trove of history and personality with reclaimed wood flooring from Manomin Resawn Timbers. We are proud to offer these antique wooden relics to help you create a flooring style you’ll treasure and adore for many years to come. Your entire homestead will be the heart of modern vintage, prompting stories about where your reclaimed wood comes from. The most compelling and valuable homes offer one-of-a-kind conversation pieces at every turn, so what better way to enhance your own space than with gorgeous flooring that serves as an endless source of fascinating discussion and discovery? During the 18th and 19th centuries, many structures in America were built using trees growing on or near the property. At the time, wood was one of the strongest, most affordable and abundant building materials available, compelling builders across the nation to construct their homes, barns, factories and warehouses using any lumber they could find nearby. For example, before the chestnut blight of 1904, thousands of US farmers on the west coast relied on American Chestnut to build their barns and homes. After the blight destroyed untold millions of chestnut trees across the country, lumber reclaimed from these structures became one of the most coveted commodities on the market, not only due to its rarity and unique look, but also because of the rich history each plank represented. Essentially, reclaimed wood pairs a phenomenal aesthetic and story together without sacrificing strength or durability. 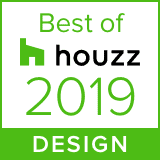 That’s why many modern homeowners and designers alike choose to forgo today’s “samey” composite options in favor of reclaimed flooring that reflects nature’s beauty in all its splendor. At Manomin Resawn Timbers, our lumber comes from the timbers reclaimed from salvaged barns, factories and warehouses, once-magnificent structures containing decades of history and experiences that spanned across many generations. Whether they came from the remains of a steam-powered factory built during the Industrial Revolution or the wreckage of a small barn that sheltered and supported six generations of an American farming family, every order of flooring we provide clients tells a fascinating story. And by implementing these incredible pieces into your project, you have an opportunity to preserve these precious glimmers of history, contributing to the wealth of human experiences and memories they represent with a few of your own. Put simply, if you’re ready to set your space apart from all others with high-quality, gorgeous flooring that delights and inspires, then you’ve come to the right place. Once our supplier completes an initial round of surface de-nailing, we meticulously extract any remaining nails or metals from the reclaimed boards and timbers. By utilizing metal detector wands and other potent detection tools, our team quickly and safely removes all traces of metal from each shipment of reclaimed materials, transporting them to our kilns afterward for drying. 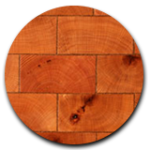 Unlike many recovered wood companies and independent sellers of reclaimed lumber, Manomin Resawn Timbers makes use of large and powerful kilns to dry our milled lumber until it attains an ideal balance of moisture content. This ensures that each board stays strong and stable when it’s inevitably exposed to different environmental conditions. This process also prevents shrinkage, which can make reclaimed wood significantly harder to install properly. Last but not least, our kiln drying system eliminates all traces of bugs or larvae living within the wood, guaranteeing that no unwelcome pests gain access to your space. Regrettably, most salvaged timbers are severely uneven and warped when they’re first rescued. That’s where our team of seasoned craftspeople comes in. These woodworking professionals make use of a wide variety of tools, including special saws, planers, joiners, molders and more, to make these antique boards perfectly flat, straight and square, creating gorgeous and unique planks that will make your project shine. 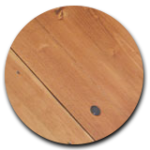 While it’s entirely possible for you to install our top-quality reclaimed wood flooring yourself, we recommend working with experienced woodworkers to ensure this process goes as quickly and smoothly as possible. If your project is based in Minnesota or western Wisconsin, we can connect you with a local professional with the knowledge and expertise to complete your flooring project for a reasonable price. Reclaimed wood flooring is an excellent option for dining rooms, kitchens, living areas and bedrooms. 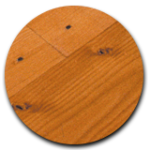 Moreover, there are many styles of reclaimed wood flooring to choose from. Here’s a brief rundown of each variant we offer to give you a better idea of which one will work best in your space. Antique Ash is milled from 19th-century barn timbers and is highly durable, making it a great choice for rooms seeing heavy foot traffic. When Antique Ash wood is finished naturally, its color can range from light blonde to cream with rich, nutty brown hues, creating a cozy patina that will bring your space to life. Antique Elm wood is milled from barn timbers dating from 1820 to 1880. This wood is generally a mixture of light tans and striking browns, creating a gorgeous, iridescent shimmer that will grant your floor a beautiful sheen. Antique Oak is milled from a mix of red and white oak barn wood and features a fascinating contrast between warm hues and gold tones. 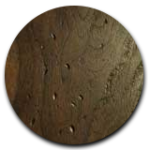 This product offers a rich patina that can only be found in antique wood, giving your flooring a one-of-a-kind look. 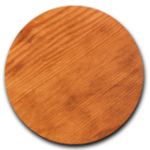 As a result of the chestnut blight of 1904, high-quality chestnut wood is exceptionally rare. Our Antique Chestnut flooring lends an attractive, unique look through its earthy tones and compelling patina, making it a beautiful addition to any project. This lumber was rescued from a variety of timbers used to frame warehouses and factories during the Industrial Revolution. Reclaimed Douglas Fir flooring features bright, energetic tones that wonderfully complement a wide variety of design styles. Rescued from century-old structures located throughout the US, this lumber has a rustic appearance that fits beautifully with many contemporary design styles and color palettes. Most importantly, Manomin Lodge flooring is incredibly versatile, adding a soulful warmth to any room it occupies. Reclaimed Douglas Fir Rustic Rough Sawn flooring is salvaged from centuries-old industrial buildings and bridge timbers spanning the US, lending a rough and intriguing look that’s still smooth enough for barefoot living. This flooring is left rough sawn directly from the sawmill to further enhance its unique character. Rescued from timber structures built during the 19th century, this lumber produces a stunning look and highlights a vertical grain aesthetic that will set your space apart from all others. Most importantly, this vertical grain prevents the wood from expanding or contracting, ensuring it maintains its stunning finish year after year. This extra-wide lumber bears a rustic feel and outstanding strength for its weight, making it a perfect flooring option for frequently used rooms. 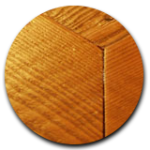 Douglas Fir Manomin Extreme flooring is a phenomenal choice if you’re looking to add warmth and ideal structure to your floors. Salvaged from barns dating back from the 1820s to the 1880s, our mixed hardwoods are primarily ash, elm and maple, creating a mixture of gorgeous tones and textures that make the flooring of any room stand out. 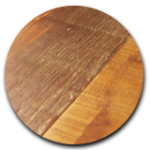 Moreover, this flooring undergoes a unique revitalization process called skip planing, leaving 30 to 40% of the original saw marks intact. Black Walnut wood is rescued from century-old barns and outbuildings, lending a strikingly warm, rare look to your space’s floors. 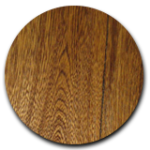 This flooring is known for its beautiful grain pattern and rich dark hues and can be further enhanced through hand scraping or use of square pegs during installation. This mixture of reclaimed softwoods (ranging from hemlocks to pines) contributes a timeless, natural look and feel to your floors. 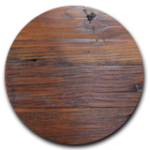 Weathered Antique flooring bears completely unique characteristics, including original saw markings and nail marks that add soulful and historic impressions to your space. Our End-Grain tiles are reclaimed from factories and roads created during the turn of the 19th century, bearing a unique texture that accents and enhances many forms of modern decor. Moreover, these flooring tiles are available in a wide range of patterns and species, offering a huge number of design options to personalize your space. Whether you’re a home builder, home remodeling contractor or shopping for your own project, we have solutions that can assist with your reclaimed wood flooring project goals. 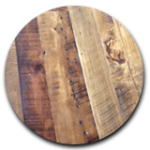 If you’re interested in requesting a quote for reclaimed wood flooring or just reaching out to us for more advice on finding the right custom wood flooring for your space, then be sure to call or message us today. 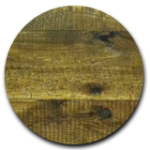 We would be more than happy to answer any questions you have and discuss what we can do to enhance your project through our industry-leading reclaimed timber flooring. We look forward to hearing from you soon! Why Kiln Drying Is Incredibly Important For Reclaimed Wood!